This is really cute! Love what you did with the stamp. This is an awesome CAS card. Love this monochromatic with the pop of red! Super cute stamp and sentiment! I LOVE it!!! that radio is super cute!! Very fun card, I love the B&W with the little pop of red! Really love that pop of red!! Striking CAS card with these colors! Par-tay! You deserve a big one after 2012! Love the card! Hey friend Pryn. Are you still partying? 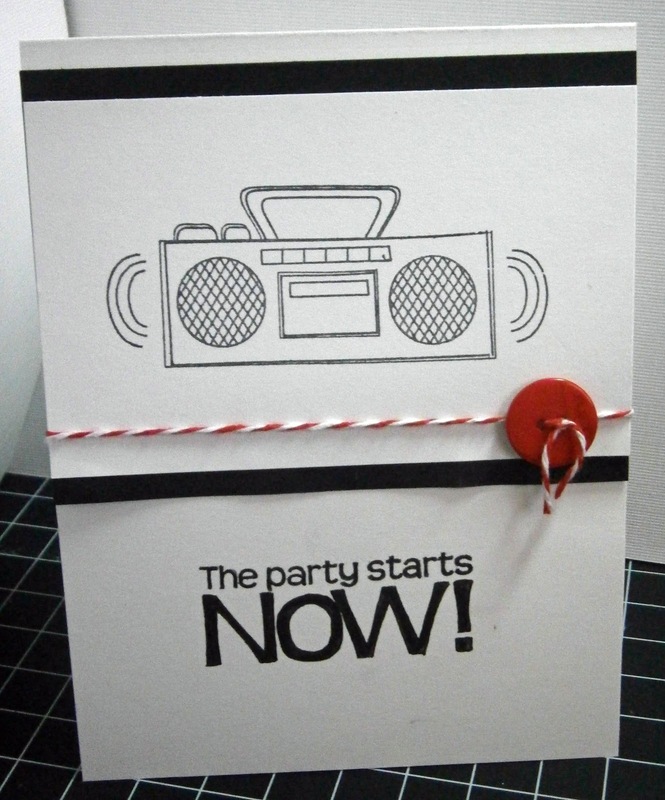 Love your way to post short and sweet and communicate with the card. Great CAS work as always. Perfect weekend card! Love your CAS design and crisp colours.